You already know how this is going to start right? 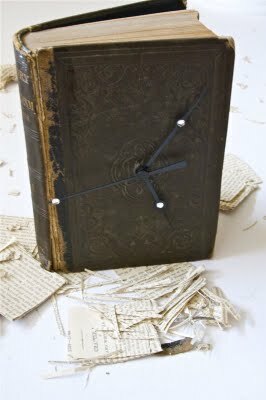 Once, way back, when I had a little more time than money, I turned old books into clocks. I was honored to be able to sell them at The Armadillo's Pillow for a few years! 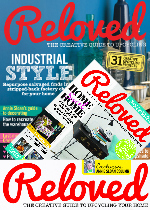 When I set out, there were no online tutorials to be found so there was a lot of trial and error involved. The first one was so much work, I kept it ... still hangs on the wall in my home even though it's quite plain (see the last image in this post). Now ...well, it didn't take very long to find, not one, but six really good tutorials to feature here. First up, the hidden-mechanism version. These are a bit of a pain to make, but they result is elegant. And if you want to hang the clock on a wall, you can. 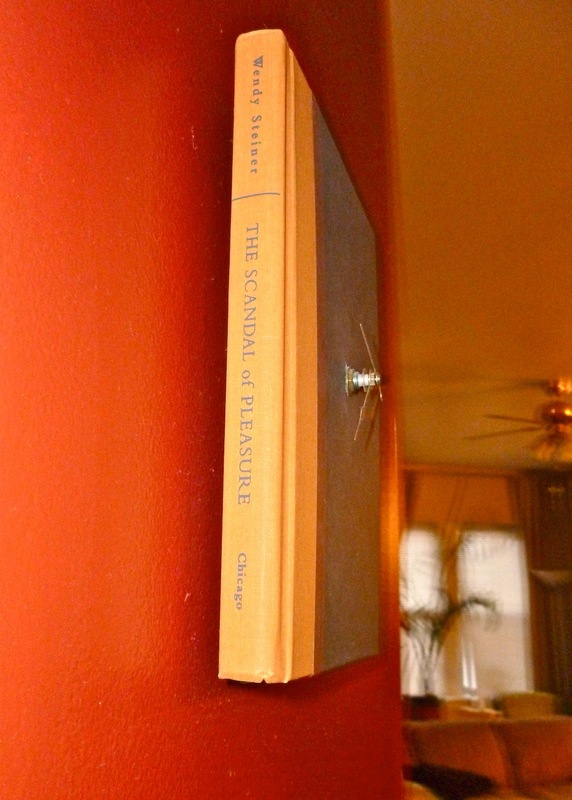 However, if it's a hollowed out version (like the one below) everything but the cover has to be glued - no loose pages. And, you have to find a way to keep the cover closed. Little rounds of velcro work well (stick one side to the inside cover, the other to the block of pages). Then you can either use the hanger that comes with the clock mechanism (flip it around and glue it to the back of the book) or one of those stretchy wire hangers sold to display plates on walls. The first tutorial, for the clock pictured above, is hands down my favorite. 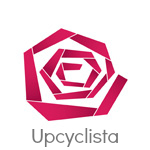 Not only is the finished product beautiful... the tutorial is great. 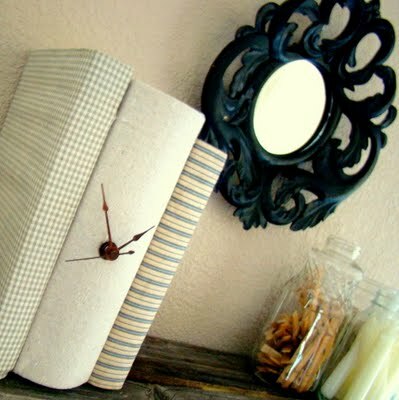 Love this one from Ruffles and Stuff because she upcycles an old book and an old clock. Again, an outstanding tutorial for a clock that looks too simple to need one. Here's the catch with slim, hard-back picture books: you still have to do a little cutting out of pages. If you just glue it all together then drill through, it warps. 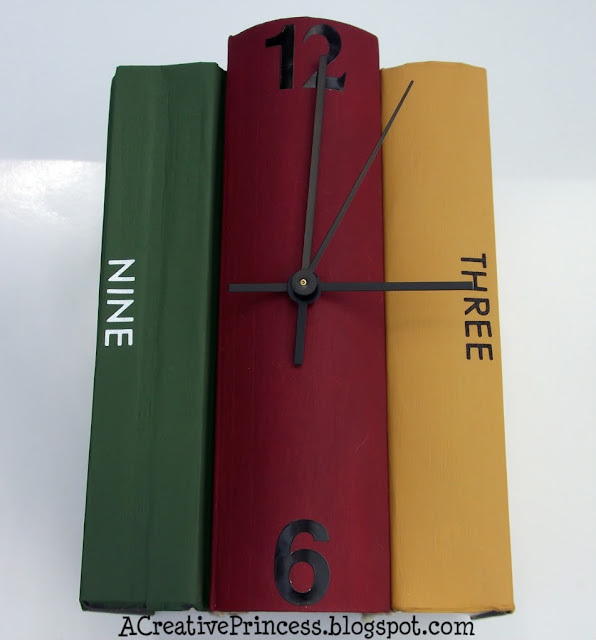 Kid's books that are wrecked on the inside but still good on the outside make lovely clocks. My favorite was "The Giving Tree" - you can use the falling apple as the "12" on the clock then buy black hands (with white backs) and flip one of them for effect. My first book clock ... still hanging on a wall as a reminder: if you know how to make something, you will always have a way to support yourself! 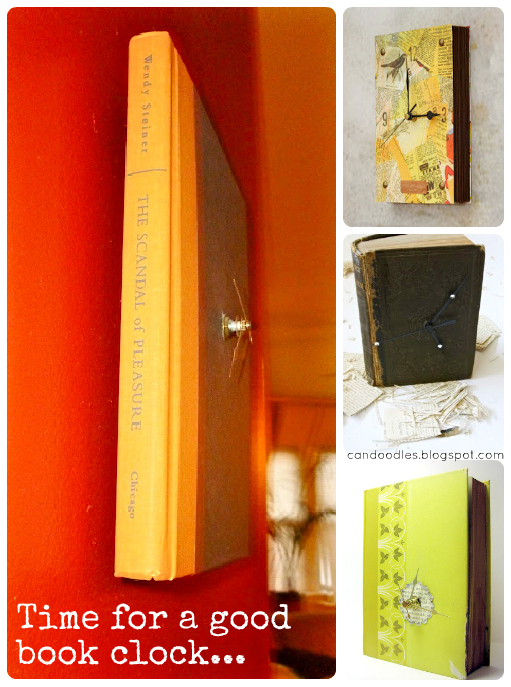 1 comment on "Upcycle: Time for a good Book (Clock) ...."
Wow, fabulous tutorials and clocks! 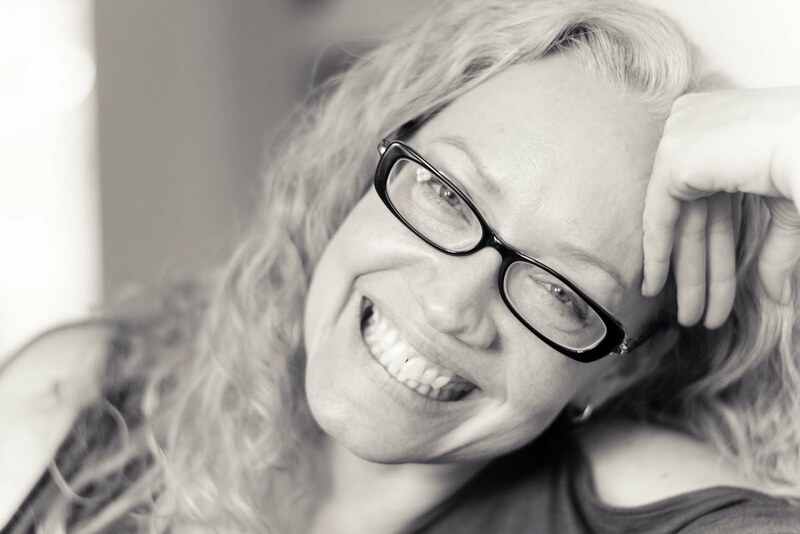 Thanks so much for sharing them! And I love your first one! So glad you kept it.